Ahead of Obama’s Paris meeting, Gavin and Tom made the global warming hiatus disappear. 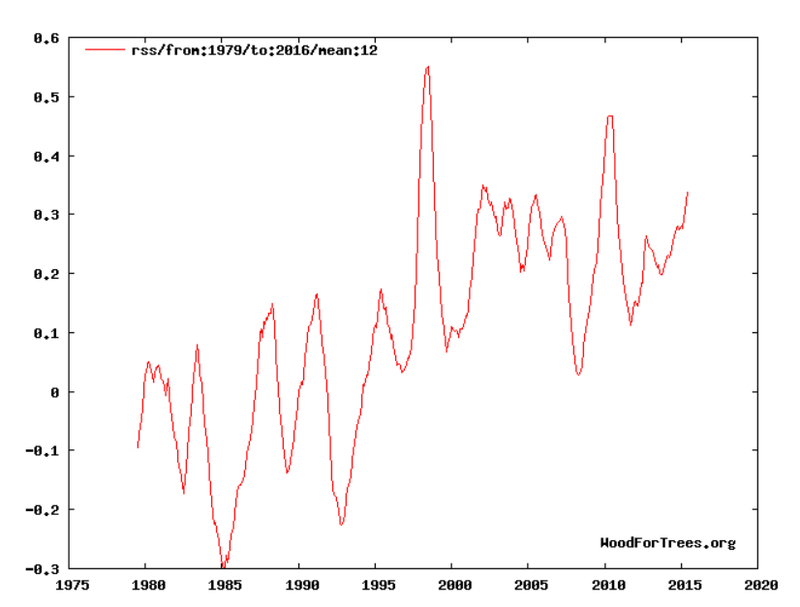 They needed to make 2015 the hottest year on record for the official propaganda. Their data tampering was so offensive, that even Michael Mann couldn’t stomach it. Satellite data shows that 2015 was nowhere near as warm as 1998 or 2010, and that there has been no warming for nearly two decades. NASA surface temperatures are now diverging from actual temperatures at a rate of 1.3C/century. 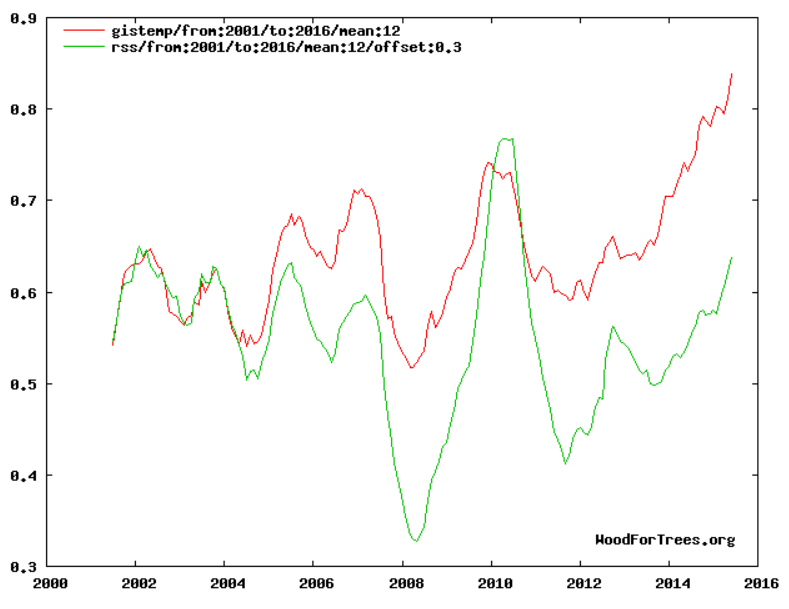 21st century global warming is entirely due to Gavin and Tom’s fake surface temperature graphs. It will be interesting to see how the scam unfolds with a new president, solar minimum and a La Nina setting in. Democrats are calling for prosecution of people who lie about the climate. People who live in glass houses probably shouldn’t throw stones. So surface is warming up faster than the lower troposphere. Why would this be surprising? Global warming theory states the exact opposite. The upper troposphere should warm faster, because the ratio of CO2 to H2O is higher there. That’s one reason why alarmists are alarmists and progressives are progressives. They forget anything that does not match up with their leaders predictions. The predicted persistent tropical upper troposphere “hot spot” that has not been found no matter how hard they search is a good example as demonstrated so well by cdqgfj’s claim here. Another is when hurricanes or tornadoes come they will dutifully parrot what their masters say about it being because of “climate change” but when we goes years with far below average numbers of either type storm they ignore that. They are the perfect short term memory audience for what Rush Limbaugh calls “the drive by media” for this reason. Their attention only given for a very short while where their masters direct it at that time. The other predictions of the CO2 theory are also worth looking at. 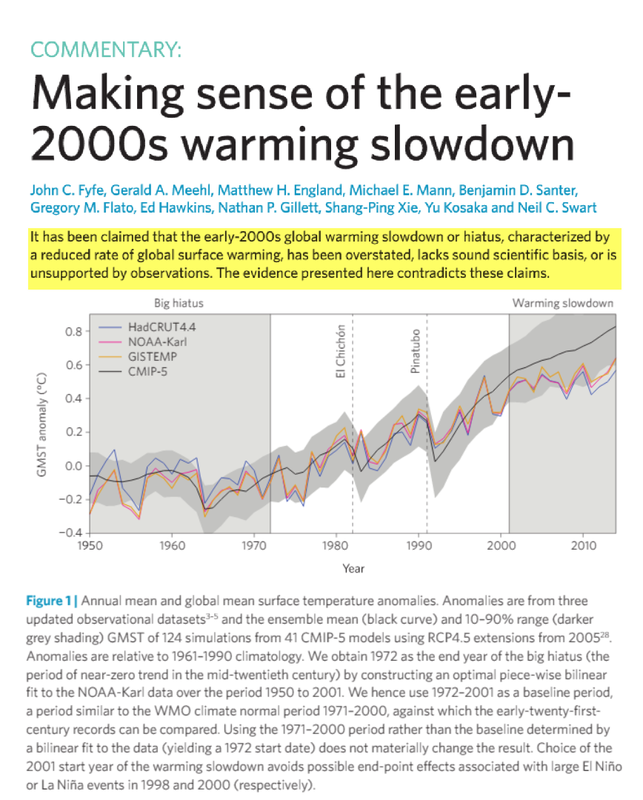 Warming faster over land, and winters warming faster than any other season. SLAM! cdqgfj you are going to get dropped off the payroll with lame posts like that. Better toddle on back to the Astroturf shop for repairs. No problem. cdqgfj can always get a job in an outfit calling old people and make them give him access to their computers by telling them he can see bad Windows errors, or threatening that IRS agents are waiting outside and will arrest them if they don’t pay him their overdue taxes over the phone. When you get a sample of properly measured, untampered surface temperatures, such as the only pristine surface data in the world , USCRN,……. 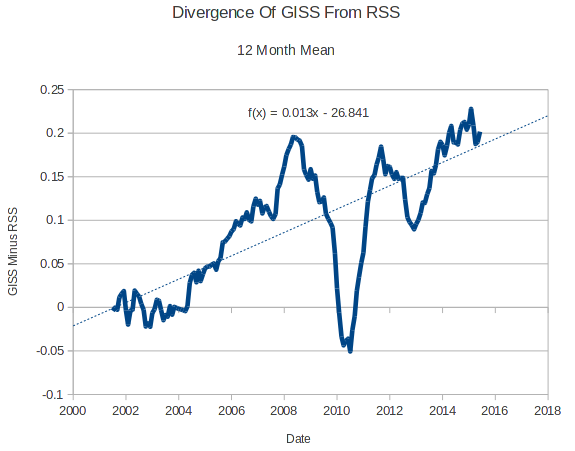 Its only the manipulation, fabrication, homogenising to urban affected stations and and other data fudging that creates the warming of the GISS data set..
Only possible if the lapse rate has changed. Unfortunately, Steven aka Tony, a large part of post-modern science is a farce. That is a discovery nobody enjoys making, but it now seems inescapable. 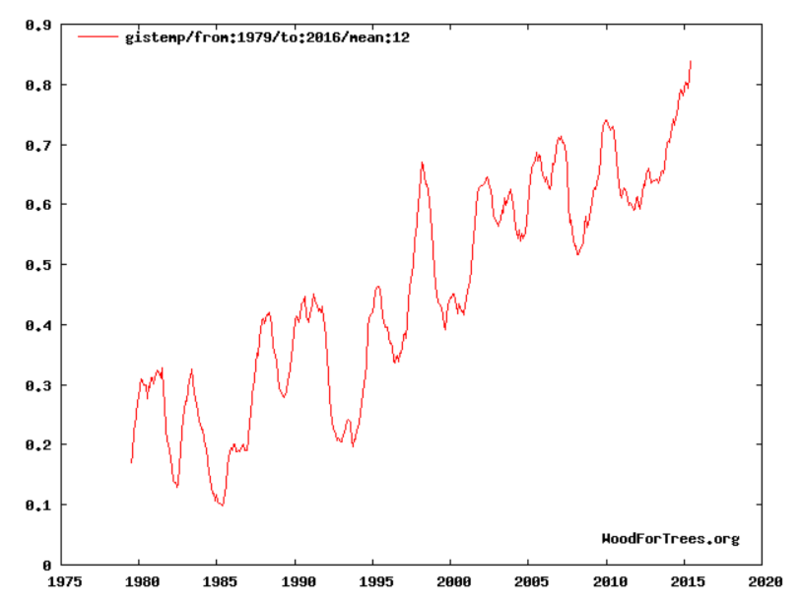 Have ANY of the Globull Warming Gestapo’s vaunted climate computer models been able to reproduce the OBSERVED temperature data? Temperatures are set to be well below average, with highs of just 3C (37F) in Edinburgh and Aberdeen yesterday, compared to 9C (48F) in Tomsk in Siberia and 8C (46F) in Greenland. Temperatures in parts of Britain are expected to sink to -5C (23F) in the coming days with further icy gales and snow on the way. Unseasonable cold weather is expected to last at least until the weekend with some forecasters predicting bitter conditions throughout next month. The surface temperature record is known to contain a high Hurst exponent and that makes OLS trends unstable and of little information value.